Minimalist Web Design: Where's the Text? In 2014, the endless enmity between the web design people and the SEO specialists should have subsided but it hasn’t. I constantly come across web designers and SEO specialists in conflict. Of late, I have seen both sides arguing over minimalist web design. 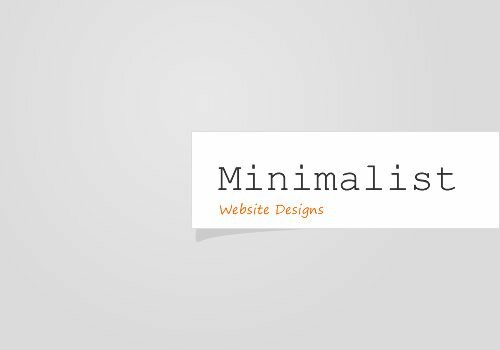 In this post, I’ll review the challenge of minimalist web design as it relates to SEO and point out a shining, if not “forceful”, example of how minimalist web design and SEO do not have to be mutually exclusive. When you think someone’s function is irrelevant, you will generally not bestow on them much respect. 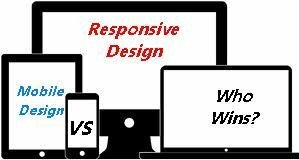 Such is often the case between web designers and SEO’s, which makes it difficult to reach productive decisions. To build online traffic, you need both a superior experience for the user (web design) and a way for the search bots to find your pages (SEO). The challenge with many minimalistic designs on websites is that they often do not have much text on the page. Sure, it’s beautiful, but there’s nothing for the search bots to say, “Yeah, this page is about THAT.” You simply have to have text on the page with solid on-page SEO to rank well in the search engines. 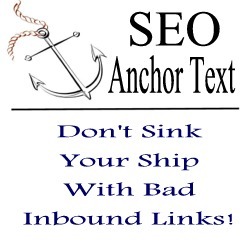 You may find those rare exceptions in which a website has amazing Google authority and impeccable inbound links but that is the exception and not the rule. So, if you have a minimalist design with few words on the page, how can you rank for your key words and phrases? The answer is that you enlist the two sides to come up with a solution. You mandate that they come with a way to preserve minimalistic elegance while adding keywords and phrases to the page. A client of mine recently enlisted a web design firm to redesign their site and the result was a very minimalist design. The site looked clean and crisp and I really liked it but there was very little text. I told them that I really liked the look and feel of the site, but with very little text on the page, it would be difficult to rank organically for particular words and phrases. 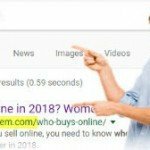 The search bots simply will not know what your page is about. Now, Salesforce, I thought, may be one of those rare exceptions referenced above. Presumably, they have an amazing inbound link profile with lots of CRM terms in their anchor text (yes, in fact, they have over 4 million inbound links). However, I was still willing to bet that they have substantive, targeted text on their page. The results? Sure enough, Salesforce came in #3 for this search term with their somewhat minimalist design. But what else did we see? Salesforce has abundant on-page SEO on their homepage (and most other pages) that they conceal near the bottom of the page. As we see in the photo, Salesforce provides very little text in the above the fold content. It’s all information important for visitors to learn about the new Salesforce products and services and the content is fairly shallow in the way of keyword placement. 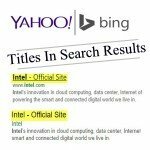 So, where is all of the on-page SEO content? This is where it gets interesting…if not a little sketchy. As we see in the image, the heading tags on all of these sliders are all “H1 tags”. Traditionally, H1 tags are the top heading of a webpage and often only used one time. Here, we find 3 heavily keyworded H1 tags at the very bottom of the page. And all those fancy headings on the top of the page? They are all H2 tags. 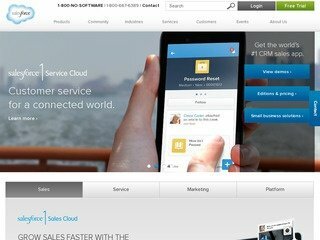 This practice clearly works for Salesforce as they rank at or near #1 for all three headings: “CRM”, “CRM Solutions”, “Cloud Computing CRM”. Of course, having a pagerank of 7 for their homepage and being the the leading CRM company in the world doesn’t hurt. Is this practice of using HTML sliders to add content manipulative? Will Google penalize sites that do this? These are valid considerations before you decide to implement this technique. Clearly this technique works for Salesforce. And, certainly, their “inversion” of H1/H2 tags is unconventional if not a bit sketchy. But Salesforce is beyond reproach in Google’s eyes and your site may not be. I also recall a video from Matt Cutts, Google’s supreme SEO being, suggesting that limited use of HTML sliders is permissible. With their crisp and clean look, I am a fan of most minimalist web designs. 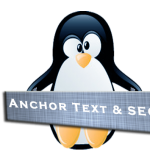 But they allow little room for substantive text, which is necessary for SEO – the search bots currently need text to identify the theme and keywords of a webpage. We have seen that Salesforce combines a minimalist design and solid on-page SEO through the use of HTML sliders. This technique may help you as well…just don’t overdo it.